Left: Karen Windchild's work, which was part of a Fall 2006 exhibit at the DFAC, intrigued Lee enough that he signed up for a clay class. 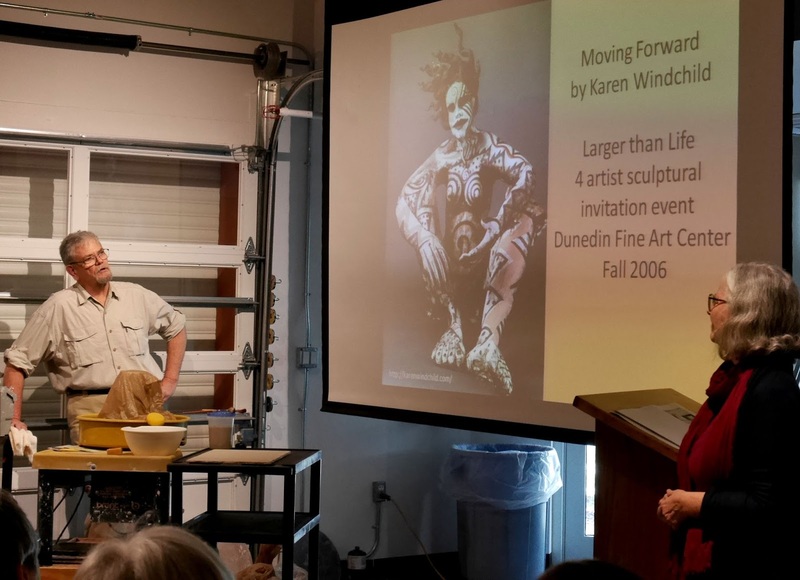 "It wasn't something I would have wanted in my living room," Lee told the group gathered in Studio B at the Dunedin Fine Art Center a couple of weeks ago. "But my mind couldn't get over -- still can't get over -- what she had done with clay." "It" was a ceramic sculpture, similar to the one in the photograph, by Palm Beach artist Karen Ann Sholmberg Windchild. For our anniversary at the end of 2005, I had given Lee a gift certificate to take a class at the Dunedin Fine Art Center. I had thought he might take a drawing or painting class, as every Saturday morning at 9:30 a.m. he had a date with Donna Dewberry and also had started watching Terry Madden and Bob Ross. He also had taken some blacksmithing classes at Heritage Village in Largo and, over the years, had done some woodworking. But he had never even considered working with clay. Towards the end of 2006, when we were concerned the gift certificate might expire, we stopped in at the DFAC to see what classes were being offered. That's when Lee saw Karen Windchild's work and decided to sign up for a clay class. And he was hooked. More than hooked. It was the beginning of an obsession -- the good kind. In the almost ten years since then, he has taken many, many classes and workshops covering different ways to form, finish, and fire clay. He has hunted books on clay in libraries and bookstores, finding them in the art, craft, science, technology, industry, and history sections. 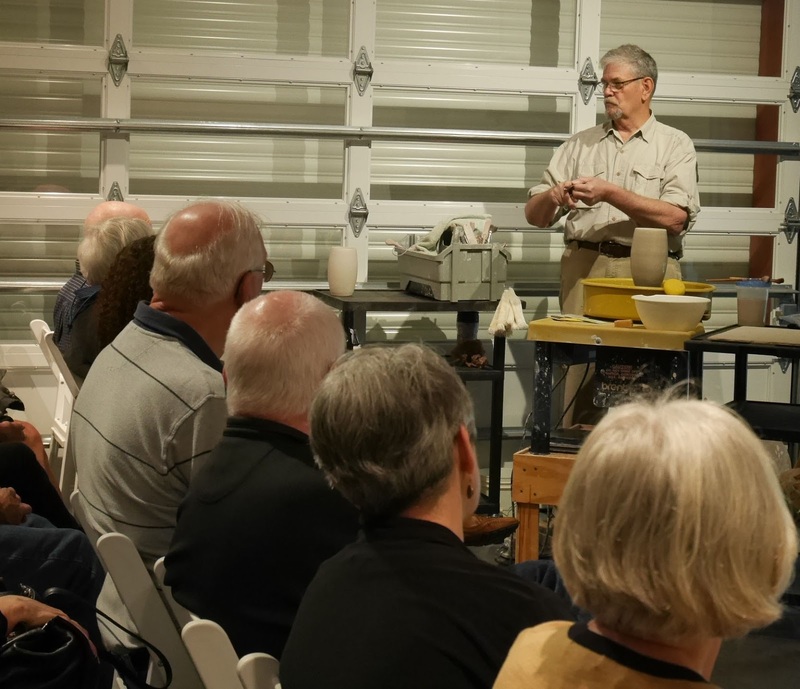 Through the wonderful world of YouTube, he spends hours watching village potters in parts of Asia, industrial ceramicists in Europe, and artists around the world -- and he tries much of what he sees and reads about other potters doing. He also has put his mechanical skills to use building, rebuilding, and repairing different kinds of kilns. Ironically, that day in 2006 that we saw Karen Windchild's work and he signed up for a clay class, we stopped at the library for books on blacksmithing -- his interest at the time. 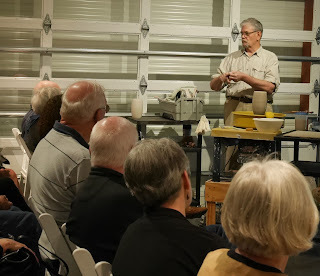 And the first book he opened said that working with clay was one way to learn blacksmithing because the clay can be manipulated in the same way as hot iron -- without the heat or noise or time constraints. In another post, I will show the one piece he wrought out of clay using blacksmithing techniques. For now, it is enough to note that the anvil he had bought remains unused. The clay has formed the artist into something other than either of us ever expected. Below: Some of the items Lee has made over the almost ten years he has been working with clay. The two small horsehair pots at the left were made about seven years apart; although they are the same size, the older one is noticeably heavier than the other, which demonstrates Lee's increased skill in throwing. The black-and-white pot at the far right is hand-built using a slump technique. Although it appears round, you can feel the joints -- unlike the thrown pot at center right. At the back are various books I have collected that offer a more literary look at clay, pottery, and potters. Thursday, January 14, I will be part of the Dunedin Fine Art Center's Coffee & Conversation series. Despite what the text below says, I don't know how much I will "thrill" people, but it should be fun. Both of us will be there, actually. Anne has put together a presentation based on the idea that the medium shapes the artist as much or more than the artist shapes the medium, and I will share how I have explored different aspects of working with clay. It may not be thrilling, but I'm guessing we will have a good time. Coffee and Conversation with Lee Anderson at the Dunedin Fine Art Center. Hanging out, drinking delicious coffee, talking about art… ahhhh, that’s the life! Well, that IS the life at least for an hour or so each month at the Dunedin Fine Art Center’s Coffee and Conversation series. Enjoy coffee (Presented by the Sterling Society of DFAC) and insights as each month’s invited guest holds forth on their own area of expertise. Admission to these relaxed talks is $5 and is FREE to current DFAC members. 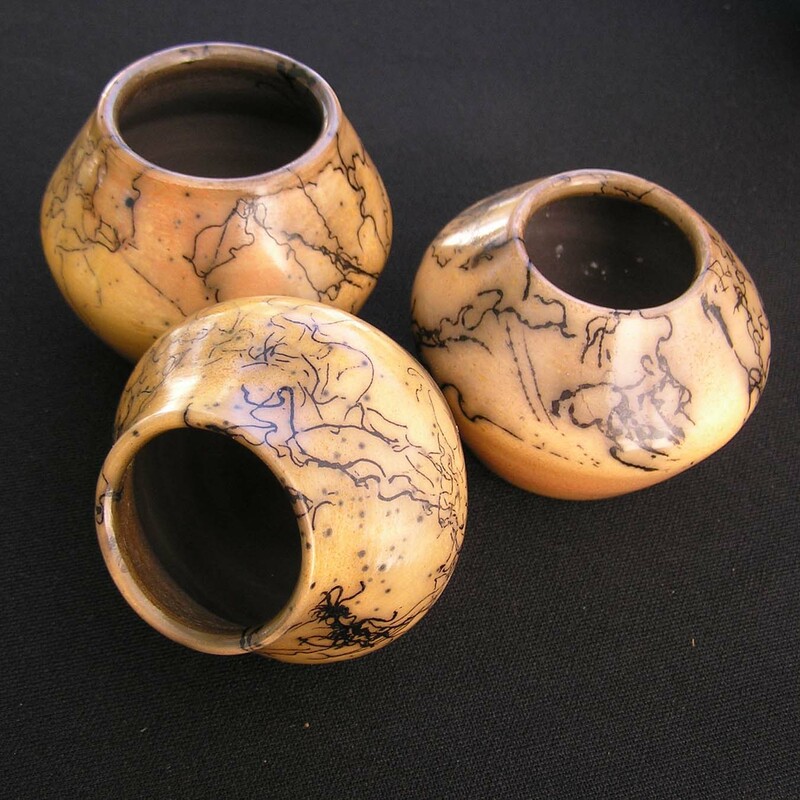 Thursday, January 14th, 2016 at 12 noon,the series hosts clay artist Lee Anderson. He is going to thrill you with live demonstrations of throwing on the wheel and burnishing. 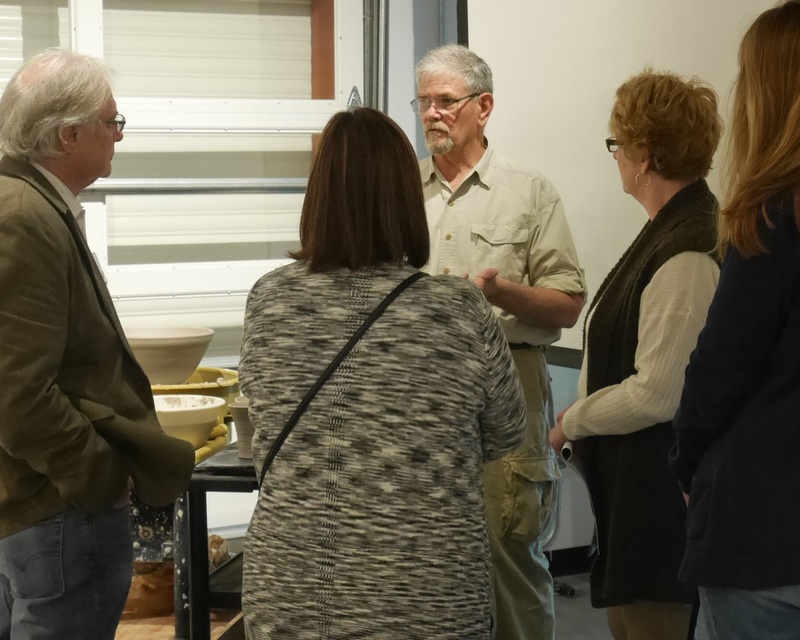 He’ll discuss different clay and methods of working them as well as different glazes and styles of firing. All of this will be illustrated with photos and actual finished clay pieces. Be ready to be inspired! Lee V. Anderson began working with clay in a class a decade ago at the Dunedin Fine Art Center and quickly developed an intense avocation for pottery and the ceramic arts. 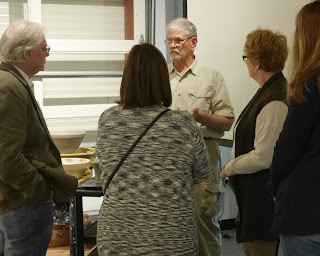 He studies the physical and chemical properties of the clay and glazes so he can work with instead of against the material, which then frees him to play with form and structure. In particular, he has been drawn to interpreting Southwestern and Scandinavian forms, to hand-burnishing work with a polished stone or the back of a spoon, and to the smoke and fire of raku. He has learned that it’s not all about what he does in the throwing, shaping, glazing, or firing. 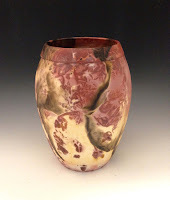 The clay takes on a life of its own as it responds to each of the stages in the process, and he is often surprised by what he finds when he opens the kiln. So stop by for some Coffee & Conversation. Or call ahead to the Palm Cafe’ (298.DFAC ext 237) and have lunch waiting for you! 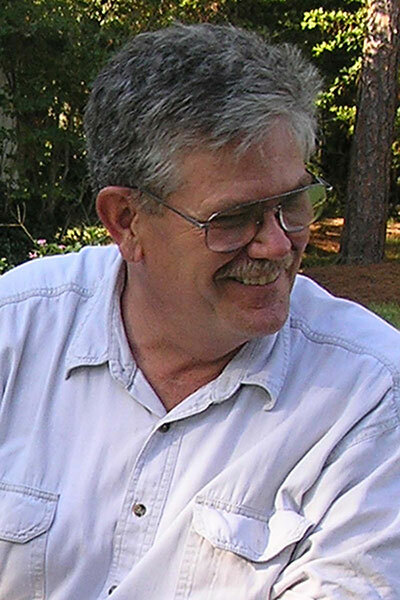 Coffee and Conversation with Lee Anderson– Thursday, January 14, 2016 at 12 Noon.